2013 MY: Type 981 Cayman introduced, with 275bhp 2.7-litre and 325bhp 3.4-litre S 6-cylinder, direct fuel injection engines. As Boxster 981 but coupé bodyshell with 6-speed manual and option 7-speed PDK gearbox. 2014 MY: Cayman GTS with 340bhp 3.6-litre flat-6 engine. Standard PASM, Sport Chrono and DEM. Sports suspension was a no-cost option. 2015 MY: Cayman GT4 introduced with 385bhp 3.8-litre flat-6 engine.6-speed manual only with standard PTV (inc LSD) and PSM. 2016 MY: Cayman 718 introduced with 4-cylinder turbo engine replacing 6-cylinder normally aspirated engine. The 2.7 is such a good all round and sporting package that you wonder why bother considering the S. The PDK version will run to 62mph in 5.4sec and return maybe 35-37mpg driven carefully. 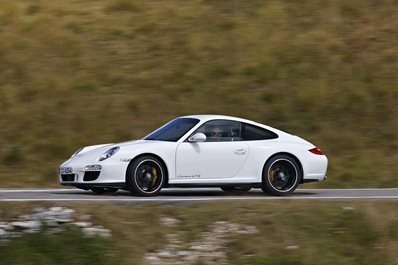 The S is quicker as an everyday car (PDK: 0 to 62mph in 4.7sec) and tauter in ride and driving dynamics. The Cayman S was given a rare 5 star rating by Autocar. The GTS variants are more driver focused and deliver envelope stretching performance, while the Cayman GT4 is probably the most entertaining trackday car you will ever drive. The collectability of the 981 Cayman is assured as these models are the last of the 6-cylinder models, as they were superseded by 4-cylinder engined '718' cars in 2016. 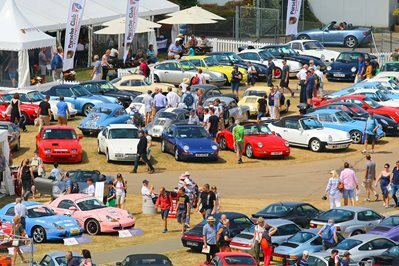 Like all modern Porsches there is a wide performance spread to choose from. The two everyday models - the 2.7 and the S are easy to drive and will slot into your lifestyle seamlessly. It is worth remembering that the Cayman is strictly a 2-seater, although they do have useful luggage areas front and back. There is a small Vehicle Excise Duty tax break for having the PDK gearbox with the 2.7 PDK currently costing £230 a year (manual £270) and the 3.4S PDK costing £270 (£295). However, PDK was a £1900 option when new and these cars carry a premium in the used marketplace. The GTS is rated the same as the S.
Compared to a Boxster, the Cayman is usually slightly pricier and offers a tauter drive, quieter cabin, better security and the facility of an opening tailgate. It is arguably one of the best dynamically balanced Porsches ever made. If you are at all handy, equip yourself with a torch, so you can look at the disc brakes (shouldn't have edge lips of more than 1mm or be rusty or corrugated) and brake pads (should have more than 3mm friction material). Look closely at all the tyres to ensure they are a quality brand and carry the Porsche N-rating (will be embossed as N1, N2, N3 etc on the sidewall). Tread depth should be better than 3mm, which is about the width of a £1 coin and there should be no sidewall damage.